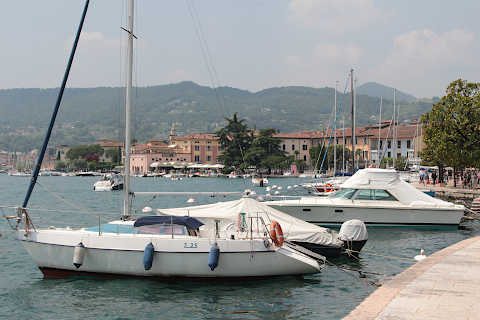 Salo is situated in a natural inlet at the southern end of the Gardone Riviera and on the western side of Lake Garda in the Lombardy region of northern Italy. 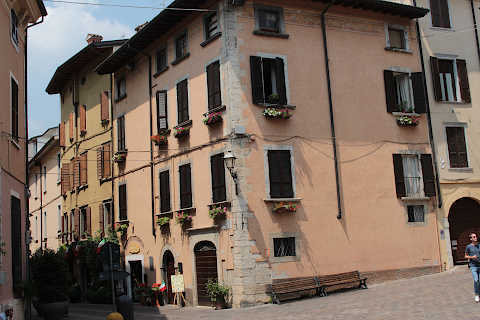 It is a quiet town in an attractive setting backed by mountain scenery and fronted by the lake. 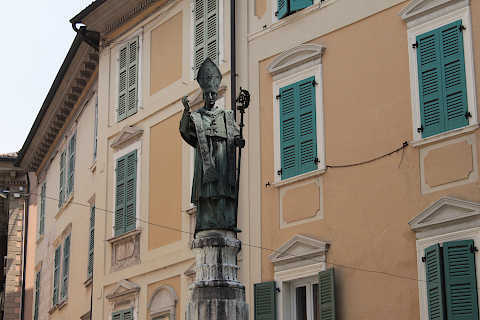 With historical roots dating back to Ancient Roman times, Salo gained fame more recently as the capital of Mussolini's republic from 1943-1945. 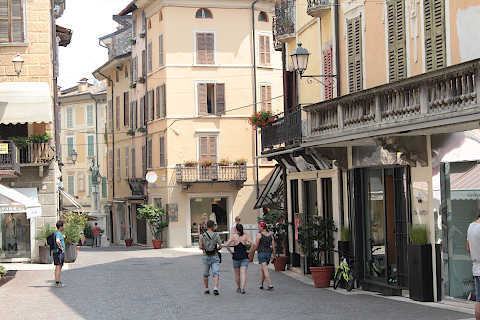 Italy This Way comment: although it is small we found Salo to be a lively resort that we liked very much, with the promenade and old town adding lots of interest and scenic beauty to a visit. 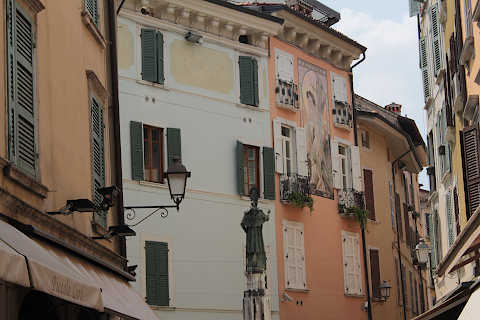 There are two aspects to Salo: a long promenade along the lakefront and a small but attractive old town. 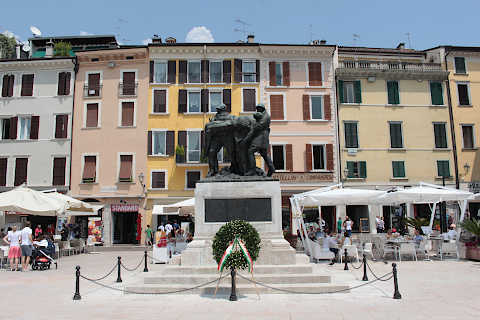 You can start your visit in the Piazza Vittoria, the arrival point for ferries from other towns around Lake Garda. 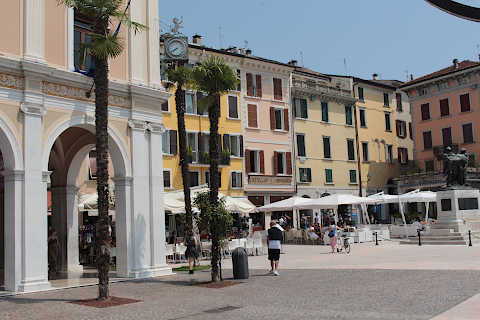 The historic town is behind this square, and the promenade heads in both directions along the coast from here, with a small harbour to the south. 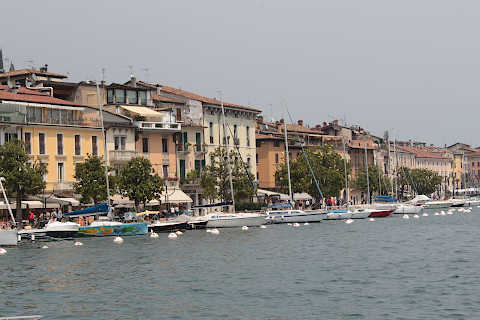 I was told that Salo has the longest promenade in Italy and although I have no idea if that is true or how the length of a promenade is defined it certainly is very long and wide and has a lovely view across the lake. As you stroll along the promenade there are numerous cafes and restaurants where you can pause a while and watch the world go by. On exploring the old town you can clearly see the original medieval layout of the town, based around its cathedral. 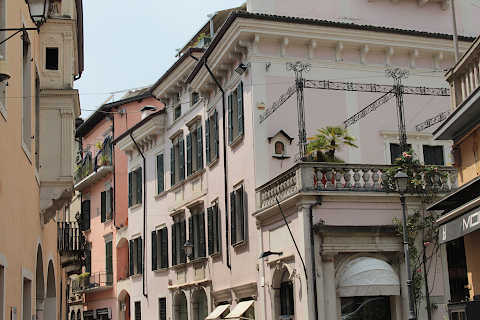 There are some charming streets of colourful tall houses with shops and restaurants at ground level. The cathedral of Salo is in the late-gothic style with a late 15th century Renaissance portal by Antonio della Porta and Gasparo from Cairano. Inside the cathedral there are numerous works of art including the dome, frescoed by Palma il Giovane (1544-1628) and the "Madonna with St. Bonaventure and San Sebastian", by Girolamo Romanino (c.1484 - c.1562) and several other beautiful artefacts in the late-gothic style. Another historic monument in the centre is the clocktower, a large gateway with a baroque style clock that was reconstructed in the 1770s. 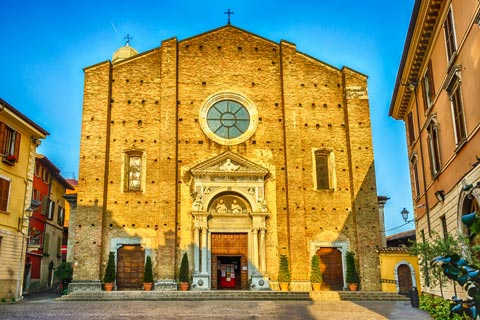 You will also see the Chiesa della Visitazione, a small baroque style church with four statues in the facade - go inside the church to see the beautiful decoration with marble columns, statues and painted ceilings. 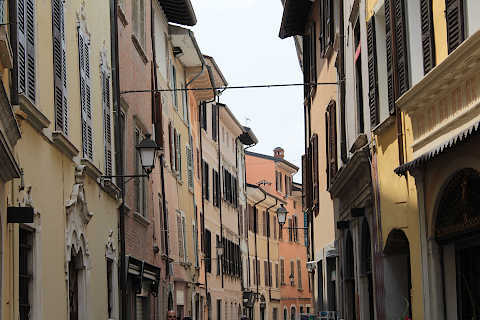 To learn more about the history of Salo you can visit the Palazzo della Magnifica Patria, a 16th century palace which contains a museum explaining events of historical importance in Salo. One popular excursion from here is to visit the Comincioli vineyards at Puegnano del Garda to sample some of the local rosé wines. You will also want to visit the resort at Gardone Riviera just a short distance north-east along the shore of Lake Garda to visit Il Vittoriale and stroll around the botanical gardens, and Sirmione at the southern end of the lake to see the castle and medieval village. 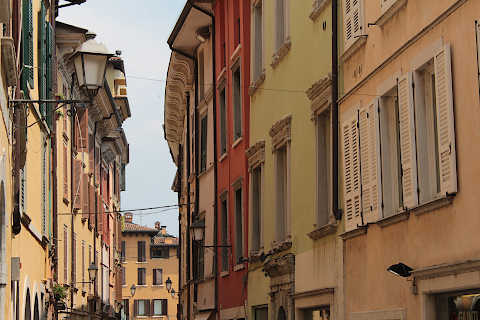 You can find more local travel ideas in the Lombardy guide.